The United Kingdom government is to return an additional 6.8 million pounds of the confiscated loot of former Delta Governor, James Ibori, to Nigeria. Rupert Broad, U.K. Metropolitan Police Senior Investigator, disclosed this in London on Tuesday at a meeting on “Supporting Policing in Nigeria: What Role for Police in the Nigerian Diaspora” held in the House of Commons. 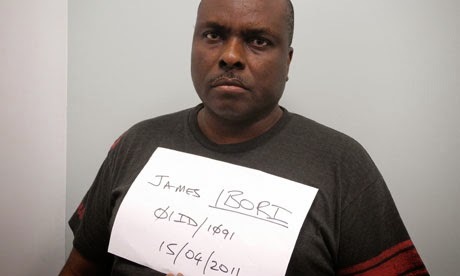 He also said that an additional 80 million pounds had been temporarily confiscated from Ibori and his associates, including Mr Patrice Gohil, one of his lawyers. The News Agency of Nigeria (NAN) recalls that the British Southcrown Court in April 2012 sentenced Ibori to 13 years jail term for fraud and money laundering. Broad, who attributed the success of the Ibori case to partnership with the nation’s Economic and Financial Crimes Commission ( EFCC), said “the case signified Nigeria’s commitment to the fight corruption. “In the light of the Ibori case, Nigeria has done a fantastic job in tackling corruption. Similarly, Nsikan Etuk, the Director of the UK Nigeria Police Forum, said that the diaspora was a powerful tool for the reformation of the nation’s police force. collaborating with government in tackling challenges impeding efficiency in policing in the country. He said that the Forum, whose membership included serving and retired police personnel, was established following challenges facing the Nigerian community in the UK. In the same vein, Kunle Bamgbose, the Nigerian Deputy High Commissioner to the UK, said the nation’s police officers were among the brightest in Africa, adding that they were only impeded by operational challenges. According to him, partnership in training and capacity building of officers will be an ideal area of collaboration. The meeting, which had participants from the Nigerian community, was chaired by Meg Hillier, the Chair of the UK All Party Parliamentary Group on Nigeria.